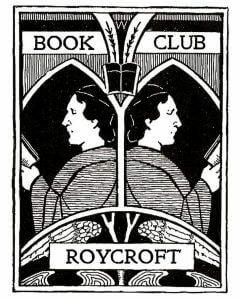 Join the Roycroft Campus Book Club as we share our love of literature. Throughout the year, the Roycroft Campus Book Club will read books of various genres, culminating in a night of lively discussion. On Wednesday, June 19th, we will be discussing The Death of Mrs. Westaway by Ruth Ware. Join us at 7pm in the Roycroft Campus Power House for a night of great literature and exciting conversation. For more information, please visit our website. Join the Roycroft Campus Book Club as we share our love of literature. Throughout the year, the Roycroft Campus Book Club will read books of various genres, culminating in a night of lively discussion. On Wednesday, August 21st, we will be discussing The Dinner List by Rebecca Serle. Join us at 7pm in the Roycroft Campus Power House for a night of great literature and exciting conversation. For more information, please visit our website. Join the Roycroft Campus Book Club as we share our love of literature. Throughout the year, the Roycroft Campus Book Club will read books of various genres, culminating in a night of lively discussion. On Wednesday, October 16th, we will be discussing The Library Book by Susan Orlean. Join us at 7pm in the Roycroft Campus Power House for a night of great literature and exciting conversation. For more information, please visit our website.